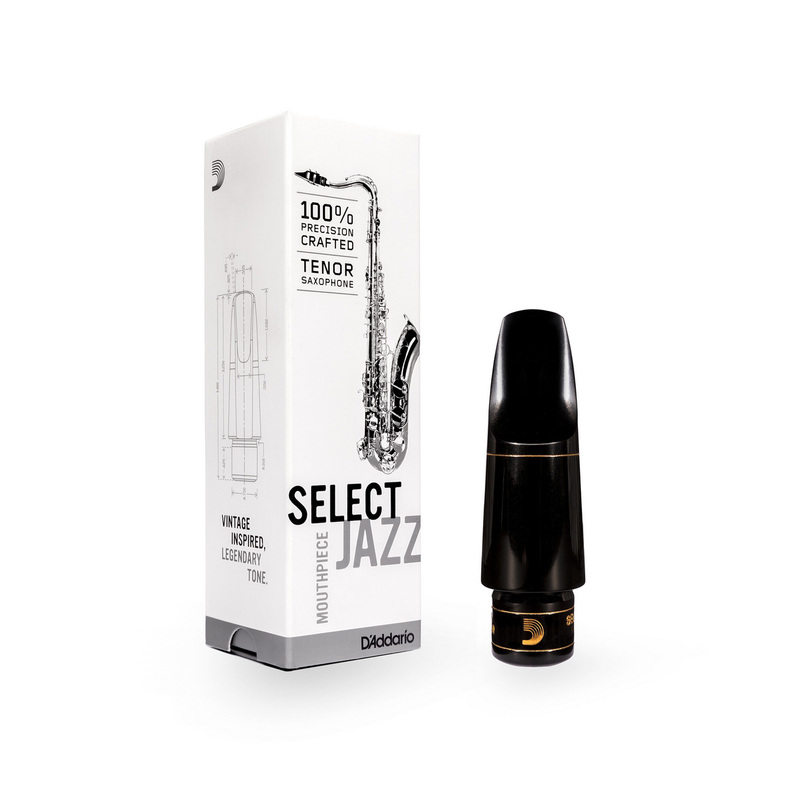 Following on from the successful release of their Select Jazz Alto mouthpiece 18 months ago come the new Select Jazz Tenor mouthpiece from D'Addario. This is the result of a vast amount of research and testing, plus discussions with top players about what they need in this day and age. The result? A very versatile, flexible and enjoyable mouthpiece to play that has plenty of power, warmth and projection. We're seriously impressed with the value for money and this new mouthpiece outperforms the Otto Link and Meyer equivalents of years gone by. Read more about it on our Saxophone Blog. This is a really great mouthpiece. I had read the hype and decided to give it a try, but to be honest I was expecting it to be too hard for me to play as I am currently using a Jody Jazz HR 5, which has an 85 tip opening, while the D'Addario 6 has a 100 tip. I was surprised at how easy it was to blow - only very slightly harder than the Jody Jazz. The sound is quite a bit brighter than the Jody Jazz, with more buzz, but it has a much more resonant tone, full of harmonic complexity. Highly recommend it.